In the past, ordering take-out food from a local restaurant has depended upon the restaurant offering delivery service. Restaurants offering to deliver might only have one or two drivers available, which could increase the time it takes for your order to arrive at your home or business. Restaurant delivery services, such as DoorDash, Uber Eats, and Grubhub, are independent, third-party delivery service providers offering customers the opportunity to use their platforms to order food online from local restaurants with the company providing delivery. What Are Restaurant Delivery Services? Ordering food for delivery to your home or other location usually begins with a call to the restaurant to place the order. A restaurant delivery service offers an app for iOS or Android devices that you can use to locate a local restaurant or fast food location offering the type of food you desire, such as Italian, Asian and other cuisines. Once you find a restaurant, you place your order using the restaurant delivery company’s app. The restaurants listed in the app have reached agreements allowing the service to offer fast food delivery to customers through its app for a designated delivery fee added to the cost of the food. Restaurant and fast food delivery services began in select cities. As demand for their services grows, they are expanding into more communities throughout the country. The best way to check the availability of restaurant delivery in your area is to go to the website for Uber Eats, Grubhub or DoorDash and follow the prompts to enter your address to reveal participating restaurants and fast food locations near you. What Types Of Restaurants And Fast Food Locations Participate? A restaurant or fast food location participating with a third-party restaurant delivery service benefits by exposing its menu to more potential customers thanks to the delivery service’s app. The ability to offer delivery of food to customers allows a restaurant to set itself apart from other food establishments competing for local customers. It can also allow a restaurant to remain competitive with other restaurants that are already offering delivery. Many of the large, national chains use fast food delivery services to deliver everything from donuts and coffee to hamburgers, tacos and other items you would expect to find on the menu of your favorite fast food location. Local fast food businesses and restaurants are also participating with restaurant delivery providers to offer their menu items customers they might not otherwise reach. Whether you have access to restaurants and other food locations near you depend upon the particular restaurant delivery service you use. For example, Uber Eats is available in 50 cities in the U.S. and in 13 countries. Uber Eats, DoorDash, Grubhub and other companies providing restaurant delivery are all expanding their coverage areas by signing up more restaurants and people to do deliveries. As a result, it is possible that not all of the companies offering restaurant and fast food delivery are operating in your community at the present time. The best way to find out for certain is to go to the website or the application of the service to verify if there are restaurants near you from which to order food. Each restaurant delivery service collects the cost of the food as charged by the restaurant to the customer. Delivery fees vary from one company to another and can depend upon the particular restaurant from which the food is ordered. 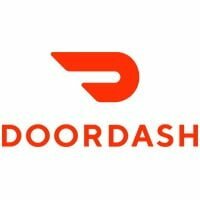 DoorDash delivery fees are set by each of its participating restaurant. Fees can range from almost $6 to $8. There is also a service fee that can be as high as 15 percent of the order. The company also includes an additional fee during peak or busy service hours. 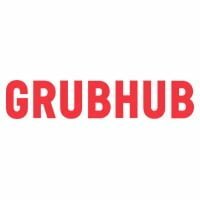 Grubnub does not charge a delivery fee, but the restaurants it works with can add up to $8 to the cost of an order as a delivery charge. Uber Eats also does not charge a delivery fee, but it does add a booking fee to the order. The booking fee depends on your service area, but it usually is not more than $5. 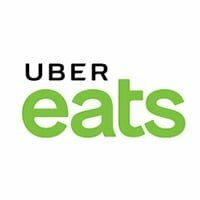 Uber Eats is similar to DoorDash in adding an additional fee during peak or busy times of the day. Tipping policies differ from one service to another. Uber Eats tells customers that tips are not included in the bill and giving the delivery person a tip is purely voluntary. DoorDash makes the tip optional, but it allows customers the option of selecting a percentage of their order at the time they order and pay as a tip to the delivery person. Grubhub encourages customers to tip the person delivery their food, but it, too, does not make it mandatory. It does, however, recommend that customers give at a 20 percent gratuity with the minimum tip being $5. Delivery times can vary depending upon the availability of drivers compared to the number of orders to be delivered in a specific service area. Grubhub, DoorDash, and Uber Eats are typical of the restaurant delivery industry by giving customers an estimated delivery time when the order is placed.